In my personal experience, writing with ADD involves a lot of starts and stops. Sometimes the words just flow, but other times the ideas are there in my head, but I can’t work through them in a way that makes sense. I don’t know what to put where or whether an idea fits. As I try to hold those thoughts in my head, I have to work extra hard to tune out other distractions, which takes a good deal of mental energy. By the end of writing for a long period of time, I am usually mentally exhausted. These effects compound over time. As a writer with ADD experiences less success and more frustration, it becomes harder to sit down and write. Some give up early and avoid writing entirely. However, the real tragedy is that many with ADD want to do more writing but can’t. Writing offers possibilities to sort through and order some of the racing thoughts in their head, perhaps to even share those thoughts with others, but they can’t sit down and capture them. In many aspects of life, people with ADD often experience a chronic sense of underachievement. With that comes thoughts unexpressed, potential unrealized, goals unfulfilled. For people with ADD, writing appears like it ought to be a path to fulfilling some of that potential, but actually doing the writing is incredibly difficult because their brains won’t respond to their will. For me, writing has long held this combination of promise and peril. I felt like I had a part of me that teachers and peers never saw, and the idea that I could sit and compose those thoughts into a more coherent package was appealing because it offered the possibility of validation. But the act of actually completing that process was excruciatingly frustrating. I have tangible memories of assignments that I really wanted to complete and do well on, but when it came to the act of sitting down and putting pen to paper, I would get lost. Eventually, I would complete assignments, but I had to rely on anxiety and fear of failure to produce a product that I wasn’t proud of. It did not take long for this fear and anxiety to have a permanent effect. In the eighth grade, I had an essay due every Monday morning, which meant that I ended up struggling to write essays every Sunday evening. Now, more than twenty years later, I still sometimes feel twinges of that anxiety on late Sunday afternoons. By that point, the damage to my sense of self confidence as a writer was fairly complete. I was a chronic underachiever. My test scores in school put me in the 99th percentile, but the results when I wanted to write anything down were never close to what I wanted to what I felt like I was capable of getting. Learning I have ADD helped me explain a lot of my past failures, but because I didn’t have that diagnosis until after I finished schooling, I lived for years with a sense that I was lazy and an underachiever. I wanted desperately to succeed which created so much anxiety that I couldn’t even eat during the weeks in graduate school that I had papers due. I literally made myself sick. I have encountered enough other writers with ADD to know that I am not alone in these experiences. Many of them develop these same negative associations to writing. Navigating around them takes an understanding of ADD and a planned process to mitigate the symptoms while taking advantage of the opportunities fore creativity that ADD presents. These are the keys to my system. The brain works much faster than the fingers can type. Ideas do not occur linearly in the order that is best for the reader to understand them. Writers need to manage this storm of ideas, capture the best points, and order them on the page. Again, this places a burden on the executive functions to maintain focus and stay on track. When your mind jumps from one idea to the next without being able to get them down on the page, each lost thought compounds the frustration. I find that the key to managing this storm is to know it will come and put a plan in place to capture as many of these thoughts without having to worry about the order and structure of ideas. I try to start off each item with an action verb. The key here is that I want to have a list of many mini-tasks that I can isolate and focus on. It happens that these items are roughly in order of how I want to include them in the post, but the nice part of having this action list is that you don’t have to know the order of things. If you can get them down on the page, you can more easily experiment with the order once they are full blocks of text. This plan of action is something that grows as the paper does. If I have a thought pop into my head about something that I want to include in the essay, I can easily put this into the list. I also like to keep this list on a separate sheet of paper where I can easily write down another task or set up another column with other tasks. I translate this plan of action to the text by opening up multiple word processor documents on my computer, in some cases one for each item on my plan of action. In each document, I write the task that I need to complete within it. Then I write in whichever document I feel like I have the most to say in. When I have an idea that fits another document, I can quickly jump to that document and jot it down. Instead of writing one long essay, my task here is to write many short informal essays that I can later combined together into one essay. I also open up two other blank documents. One of the documents is a catching ground for related ideas that I can’t fit into the essay yet. For example, for this post, I thought I might include something about the debate on whether ADD is overdiagnosed or even a real disorder, but I wasn’t sure if or where it fit. I wrote that portion of the essay in my catch-all document. By having another document for possibly related ideas, I can jot down those ideas in that document and then pull them in if they are seem to fit or discard them later. The other document is the equivalent of the mental trash bin. I use this bin as a place to write down other thoughts that are popping into my head but aren’t related to the essay. The brain works a bit like a computer. When an idea pops into the brain and disappears, it often doesn’t really go away. Emotions stick around even after the thought that triggered the feeling is forgotten. This creates a sort of constant low-level anxiety. Repressing negative thoughts takes up mental energy, which means that the brain has fewer resources to use in composing the essay. Writing them down helps me free up those other resources. So for example, if I have an idea about some other project or I remember something that I need to do or research that I need to complete, I will open up the mental trash bin and write it down in there so that I can get it off my mind. I also use this document as a place to clear my mind when doubts or anxiety pop up. In those cases, I will just sit down and write whatever thoughts pop into my head about how I am feeling. This method of writing down all of the anxieties works to sort of download them so that I don’t have to deal with them until later. Regular word processors work okay for writing with these many windows open, but I have more recently started experimenting with using Scrivener, which has a side bar that allows for easy switching between documents and also lets you organize research and other material from the project in a very clean visual environment. I have not completely mastered the program yet to talk about how easy it is to combined different elements or potential drawbacks, but it has enough promise that I wanted to include it here. Most writing is conversational; the writer composes ideas to evoke some response or series of thoughts in someone else. In most conversations, you can know how things are going by the body language and responses of your partner. However, when writing, your partner is some imaginary person who will read your words at some point in the future without you there to offer clarification. For most of the writing we do while learning to write, that conversation partner is not a partner at all. It’s some teacher who will be judging our word choice and grammar along with our ideas. Anyone in that scenario would be a bit anxious about the end results, but at least for me, overly focusing on this end point creates an overwhelming sense of dread that distracts from my actual ability to compose the essay. That can create a self fulfilling prophecy since it sabotages the attention and effort that is necessary to create a solid end product. Writing goes more smoothly when focusing just on getting words down on the page and not worrying about grammar or the quality of phrasing until later. That requires ignoring the self critical voice that keeps popping in and making objections. I don’t have any particular method that works to overcome all of those objections, but it helps to meet that voice by saying to myself that writing is a process and that it is better to push forward and fix it later rather than to spin my wheels and never get anything down. I also use something I call the high score method, which helps me turn the actual act of composing into a game focused on simply producing words on the page. Some companies use this concept in customer service. They like to promise less than they are prepared to deliver which sets low expectations for their service and then come back with something that exceeds those expectations. The idea is that at the very least you will meet those standards and if you exceed them you look better because you have gone beyond what you’ve been bound to. I don’t necessarily believe that’s a great model for doing business with others, but I do use it when making promises to myself about my writing so that I am better able to focus on the process. When I sit down to write, I know that I easily get overwhelmed by what I want to accomplish, which triggers that anxiety cycle and makes it harder to focus on what I need to do. To avoid this anxiety cycle, when I try to sit down, I make my first goal something that I know I will be able to reach, like “I will write for five minutes.” When I sit down and accomplish that, I feel better about myself, and then I can make a new goal. A small goal lets me get started on projects sooner than I otherwise would have been able to because it seems achievable. I also promote the idea of starting essays at times when I expect that I won’ t be able to get much writing done at all. With students who have trouble getting started with things, I always say that the best time to begin an essay is fifteen minutes before they are going to meet friends for dinner. The value of this is that those fifteen minutes are already marked down as wasted time. If you sit down to write, you can’t really expect much, but if you do compose an action list or jot down ideas or get a paragraph started, then you have a place to begin when you get back and you have the positive feeling of having exceeded your own expectations. Achieving many small victories like this, even ones that you manipulate for yourself can have a powerful effect on motivation and the belief that you can actually complete the essay. ADD and other learning disabilities can too easily lead to learned helplessness, the attitude where you feel powerless to do anything to achieve better learning outcomes because of past disappointments. When you feel powerless, you don’t act to improve your circumstances. Revising these narratives into something that brings a cause for optimism can go a long way towards helping you to develop into a more persistent and resilient writer. In this case, you’d explain negative marks on an essay by looking at the specific circumstances and presenting an explanation that shows where room for improvement exists. Instead of saying that I’m a bad writer, I should say, “I received a lower mark on this essay than I wanted, but this has been a hard class for me, and I have to work harder to understand the material. My instructor liked some of the things I had to say, but he marked me down for content from the class that I misunderstood and for not following the assignment. I could get more help from a tutor to help me understand the material, go to his office hours to clarify what he expects, and make a plan to start sooner on the next paper.” This explanation avoids making the failure a sign of a permanent trait and sees the failure as specific to this situation. It appears to be personal in some ways, recognizing what I did wrong, but it also sees what I can do to improve. I need to stress that these suggestions are not simply power of positive thinking mumbo jumbo nor are they attempts simply to avoid responsibility or pass the buck. They come from research findings of the psychologist Martin Seligman among others. These general concepts are discussed in more length in Seligman’s book, Learned Optimism, which offers a more in-depth way to apply these ideas to lots of situations. For the writer with ADD, this type of positive self-talk is crucial to dealing with the negative thoughts, doubts, and anxieties that inevitably will pop into your head while writing. It might even help to create a card with the three p’s on it and put it nearby while writing. The mental energy that thinking positively saves allows you to put more resources to improving the essay. Five years removed from a diagnosis of ADD, I have been able to use this system to accomplish a lot of writing and get more people to notice me for my writing, but I still haven’t started some of the larger writing projects that I care about. The prospect of failure and proving to myself that I am not capable of completing them sneaks into my head, even when I know that these explanations are exactly what I am supposed to avoid. I’m proof then that the particular elements of this system do not work on their own. The system works over time if you practice it, but the most important point to the whole system is reacting to set backs with self compassion and optimism and persistence. In those terms, I try to see each failure or disappointment as an opportunity to react better than I would have before I started writing in this way. I hope other writers with ADD can do the same. I know that this is a topic that many struggle with. I encourage others to leave their own tips here for others to benefit from. I have always struggled with writing and I only realized lately that I may have a case of ADD. I’ve found that I can communicate my ideas much better by drawing than by writing. Thanks for writing about this. I need a lifehack. Drawing would seem to engage other areas of your brain, and I imagine that others with ADD have had a similar experience as you. I know that constructing a mind map, a diagram of thoughts spread out on a page, helps some organize their thoughts, which would seem to draw on that same instinct to draw. I’m pleased you like the article, and keep at it. Writing with A.D.D. is hard work, but if you can find the right supports and strategies, you’ll probably be more creative than your peers precisely because your mind works in ways outside of the bounds of others. Thank you so much for a great article! My experience is very similar to yours in that I scored high on standardized tests (99 percentile LSAT, 98th percentile verbal GRE) but have struggled massively with writing since junior high and have tons of anxiety associated with these past experiences. On occasion I could write a short paper pretty well, but that wasn’t the norm and I’ve never had any success with longer papers. Writing my dissertation involved years of misery. I always labelled it as “writer’s block” and thought the solution was to just try harder and stop procrastinating. Getting my ADD diagnosis and learning about the writing problems commonly associated with ADD has been very helpful. Your article give me hope that I can learn to share my ideas in writing and that my voice doesn’t have to be permanently silenced by ADD. Thank you for reading, Katie. I’m glad that you were able to find it useful. It sounds like you were like me in an ability to condemn yourself for what felt like underachievement. ADD is still relatively understood at this point, and I think that the ways it allows you to think differently are not all that well documented. Having the diagnosis and just learning more about ADD really help a lot, but I think that even more self understanding (and hopefully self compassion) are ahead as more research comes out. I am about to figure out soon if I have ADD or not, but I think it is highly likely. This post really helped me to stop blaming myself and see that I can try a lot of little things to get through writing and find joy in it again. I was wondering if you could also write an article about editing? I thoroughly edit things that I am serious about. While I enjoy it, it is becoming more and more difficult, especially since it requires more concentration and awareness. Thanks! Thanks for reading this Grace. I tried to cover some editing issues in my post on better proofreading through robots, but it’s an issue I’ll keep in mind in the future. This is awesome. I was diagnosed with ADD in 6th grade, and have insanely struggled with it. But reading more about it, I became more educated, and this totally helped. The problem with me is, writing has been the only thing I’ve been able to do well, but my ADD sometimes keeps me from reaching those heights I know i can hit. I’m a freshman in college now, and for one of my writing classes I’m writing a paper on the benefits of writing with ADD, so any additional input would be greatly appreciated. Thank you, and thank you for writing this. Thank you for taking the time to reply, Caroline. I can certainly empathize with falling short of what you know you can do. Regarding your question, I remember researching the topic of the potential benefits of writing with A.D.D. but I can’t remember any particular sources that were especially useful. I imagine that it’s an understudied aspect of field. I hope your paper worked out for you despite that. This essay was brilliant and I’m going to employ..all of it. It’s also given me some inadvertent validation because I’ve already been using several of the tips, which reminds me that I’m on the right track in trying to manage my impaired cognitive flexibility in unconventional ways. I think it’s interesting that we’ve been using such similar methods and tricks all on our own! This was just the combination of points I needed to read to encourage me to keep trying, and helps affirm that there ARE more possibilities out there for writing with ADD, as long as we’re still willing to engage. Thank you for this. We must keep writing! Thank you, Kit. I’m glad that you recognize the importance of validating the methods you’ve been using. It can be doubly discouraging to struggle with A.D.D. while also doubting whether you are compensating in the right ways. And thanks for the encouragement to keep writing. This essay is unbelievable! I have ADD and struggle greatly getting the words down on paper for all of the reasons and emotions you described. I have a fairly intense job that I’ve recently started employing a similarly organized approach to and it’s been helping me wonders. To see that it’s done well for you is extremely encouraging! What I appreciate the most though is the honesty at the end about your longer term projects. I’ve been working on a novel now for well over 4 years. I have an outline, character bible, story board, timeline; everything I think I should need to start writing the actual novel, but I just can’t seem to. Your words give me hope that I’m still on the right path though and that with continued effort, more movement will inevitably be seen. Thanks for writing this! I’ll be saving it in my good reads bookmarks to go over whenever I get down about my writing. Thanks Matt. I’m glad it helped. Wow this is a great article. Naturally, I only made it about 2/3 of the way through. So much of the struggle for me seems to come from not knowing what the purpose of writing something is. If I know a lot about a certain topic I somehow assume everyone else does and so I start making a lot of leaps and skipping fundamental things. All that’s left on the page are a few words that symbolize all of the thinking I did…which I could easily elaborate on if someone asked. Thanks, James. I think you’ve hit on a key point there. It’s really hard to get everything out in an order someone else understands even when you could fill someone in if they ask follow up questions. Part of the struggle is learning what those questions are. I definitely needed to read this. My ADD has been something that I don’t really identify with, but once in awhile as I’m searching for my car keys for the 8th time in a row it’ll hit me that there is a reason my brain works like this and it’s not all negative. I’ve struggled with writer’s block for years for most of the reasons you described. 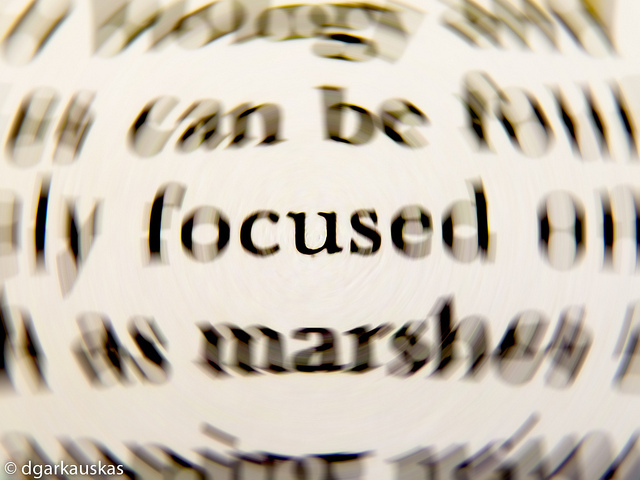 When I write on purpose, whether it’s an assignment or a story that I want to tell, my symptoms usually get the best of me because I’m trying to focus on one thing when my mind wants me to focus on all of the things. The best writing I’ve been able to do has been the no-stakes, unpublishable, stream-of-conscious railing against writer’s block, which mystifies me because writing about writer’s block is the opposite of writer’s block, and yet I can’t seem to produce good writing on purpose. Thank you for posting this so I know at least that I’m not alone here, and there is hope, I just need more windows and tabs and files and I’m sure that won’t be distracting at all. I’m just kidding. That software looks promising. Also this made me cry. I also scored in the 99th percentile on everything and yet I have struggled to do anything of value with all that potential. Wow! This article really hit home for me. I began writing as a hobby around 2 1/2 years ago. I didn’t feel confident writing outright, but instead I used the Sims games as a backdrop. I created a sim and followed their life, making up stories to go with pictures I took in-game. Since then, I have participated in two National Novel Writing Month Contests and won plus I have my own blog where I have three stories ongoing. Thank you for taking the time (and energy) to write all this out. I’m glad to know that I’m not a lazy person. I am, but not as much as I think. I do harp on myself a lot because I have this passion for writing, but I never seem to want to do it. I’ve been thinking about putting it on the back burner due to not having the time. But as a writer, you can always write. It doesn’t take more than a small writing prompt to do it every day. I struggle with follow-through in a lot of things. So, it’s tough, but I’m going to try and focus on it more each day instead of ignoring it–no matter how tired I may be. Honestly, after I write for 5-10-15 minutes, I end up being inspired. So, thanks again! Thank you. It provides good insite to the struggle I have had for years. I’m so glad I stumbled across this post! (Two years late, but still). You’ve captured the struggle so well. It’s been so cathartic for me – and evidently for others as well – to read something that resonates with me, reflects my experiences as an ADDer, and make me laugh all at once! Thank you so much for the helpful tips! I’ve not been diagnosed with ADD, but testing was not around when I was younger. I think I do show symptoms and I struggle to stay on task. I’ll employ your methods to make my writing life easier. Thank you. Thank you for sharing. Before reading this I was feeling pretty self congratulatory about something I thought of But, of course, yet again, lost the thought thread before I could get it down. Instead of indulging in my usual go to of mild self pity followed by a comedy show I googled writing with ADD and found this. I was told I had ADD in my late 20’s and at 45 I’m finally excepting that trait in myself vs. chastising it. Creatively it’s a huge fun gift. Not being able to share that gift while simultaneously feeling a strong desire to do so is extremely frustrating. Haha, took me probably 15 minutes to write this as I keep thinking about how much I can relate to your story! Thanks for the mental tricks to guide patients. Anyway, Great article! Thanks so much for your post. I have ADD and I’m a Ph.D. student. I’ve always been told that I’m a great writer, but no one has any idea of the turmoil that I struggle with daily. I often ask myself why I feel I deserve so much self-torture. I just keep hoping I’ll find the key and it will get easier… and it has… sometimes… a little. Anyway, your tips sound interesting and I’m going to give them a try. Thanks again, and keep soldiering on. You’re an awesome writer! « Reading for writers: Breakdown of “Culturalism, Gladwell, and Airplane Crashes” from Ask A Korean!